A 501(c)(3) organization is the name for a charity that is officially recognized by the government. When an organization has 501(c)(3) status it is tax exempt, meaning it does not have to pay taxes on charitable donations. 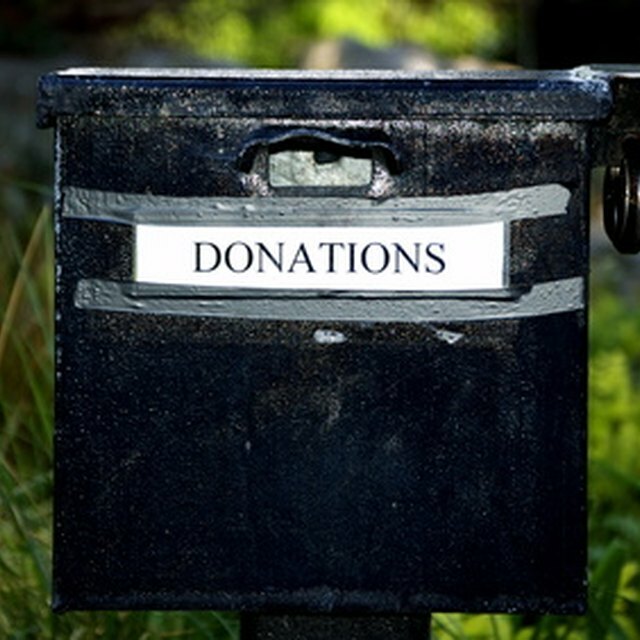 Donors can also deduct donations to the charity on their tax returns. If you want donors to take your nonprofit organization seriously, it's prudent to take the steps for setting up a 501(c)(3) organization before proceeding with operations and fundraising activities. Apply for an EIN (Employer Identification Number) to represent your charitable organization. You can apply and receive a number online at the IRS website. Register your business with your state as a corporation. The company has to be organized as a corporation, fund, association, trust, foundation, community chest or similar organization to apply for 501(c)(3) status. Ensure that your organization meets IRS rules for a 501(c)(3) charity. The main requirement is that you do not operate for "private interests" and none of your earnings go to private shareholders or individuals. Complete the "Application Process" wizard on the IRS website, which is a series of questions to determine if you're eligible. Fill out IRS Form 1023 (Application for Recognition of Exemption) when you're ready to apply. Include the EIN, information about your organization, information about employees or associated parties, description of your intended activities and financial data about your nonprofit (if applicable) on the application. If your charitable organization is brand new and does not have a financial history, you may not have to add financial data. Enclose a copy of your articles of incorporation and corporate bylaws (both required when you register as a corporation) with your application as well. Print and submit the form along with the applicable fee. The fee ranges from $200 to $850 (varies depending on the amount of money the charity earns each year) as of 2010. You will receive a determination letter in the mail if your application for 501(c)3 status is accepted. Keep this determination letter in your possession to prove your status.